Home / NEWS / TCU: DENOUNCEMENT ON SELECTION OF STUDENTS IN ACADEIC YEAR 2016/2017. TCU: DENOUNCEMENT ON SELECTION OF STUDENTS IN ACADEIC YEAR 2016/2017. 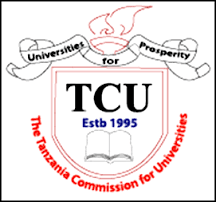 Tanzania Commission for Universities (TCU) denounce rumours about the selection of students to Universities in academic year 2016/2017.